With a twinkle in his eye and a sentimental heart, James Shillito lived life with an inspiring sense of humor and an unwavering devotion to family. Jim possessed a strong faith and a perpetual song in his heart. A man who generously lived in service of others, Jim was a wonderful father, husband, friend, and fixer of all things. Jim will long be remembered in the hearts and lives of those he loved and touched. 1928 continued to ride the decade’s roaring wave of peace, prosperity, and hope. The nation celebrated the recent inventions of penicillin, the iron lung, bubble gum, and the Yo-Yo, as well as Charles Lindbergh’s Congressional Medal of Honor and Amelia Earhart becoming the first woman to fly across the Atlantic. As the wave of sweeping social and economic growth rapidly increased, nowhere was there more hope for the future than in the Cleveland, Ohio, home of Alfred and Lilias (Taylor) Shillito as they joyfully welcomed their son James into their hearts and home on March 25th. 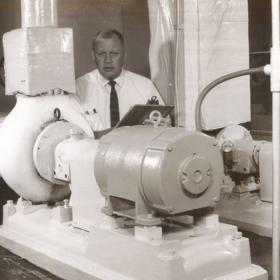 Growing up in Cleveland during the ‘ 30s, Jim learned the value of hard work from his father who worked as a machinist. 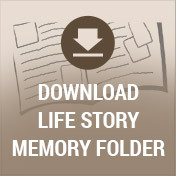 Jim’s mother taught Jim resourcefulness in the way she provided for her family as a homemaker. Jim’s childhood was not particularly kind. He experienced many hardships during his youth including the death of his mother when he was just 11 years old. Despite these early challenges, Jim maintained a sense of humor and sincere sweetness that served as the foundation for the rest of his life. 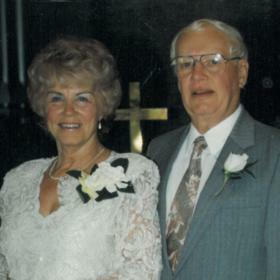 After graduating from high school, Jim married Joanne Kay Sweet in 1951. Just a few months later, he began his service with the US Army during the Korean War. From 1952-1954 Jim worked as an Army cartographer, carefully preparing maps for crucial areas of battle such as Heartbreak Ridge and Pork Chop Hill. Following his service in the Army, Jim took advantage of the GI Bill to continue to pursue a Bachelor of Science degree in Mechanical Engineering at Fenn College, which is now known as Cleveland State University. Together with Joanne, Jim enjoyed the gifts of parenting their children, Jan, Judy, and John. As a father, Jim offered unflinching support of his children and their endeavors. A sweet man, Jim taught his children by example embodying the ideals of hard work, generosity, commitment, education, and the importance of fun and laughter. 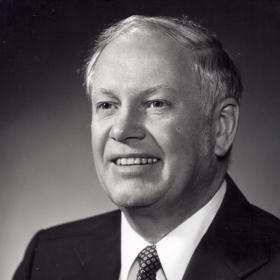 Jim provided for his family by working for Welch’s in Westfield, New York, and Lawton, Michigan, followed by The Upjohn Company where his career spanned over 24 years.  During his time with Upjohn, Jim experienced great opportunities and achieved many successes. One particularly memorable career step resulted in the family moving to Puerto Rico in 1974. For two years the family shared the experiences of a foreign culture and a Caribbean island, while Jim helped establish a new plant in Arecibo. Jim was particularly honored to receive the coveted Upjohn Award, the highest recognition for an employee of the company, in 1986. At the time of his retirement in 1990, Jim proudly served as a Director of Operations. Jim had the good fortune of spending his early retirement years with Joanne. 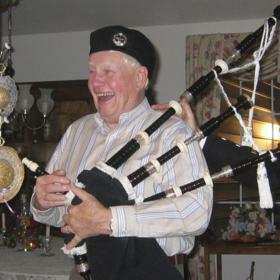 The two enjoyed many adventures including a trip to Scotland where they were able to enjoy visits with Jim’s relatives. After 45 years together, Jim had to endure the ordeal of gradually losing Joanne to a progressive illness ending in her death in 1996. A year later, life gifted Jim with the honor of marrying Dorothy Hoffman and welcoming her three children and their families into his heart. During their 20 years together, Jim and Dot shared many happy times. Whether cruising the seas, traveling by bus to Branson, Missouri, volunteering together at the Michigan Center for the Blind and Ministry with Community, sharing time with Dot’s family, or enjoying their cat Lucky, Jim found joy in each of his days. Jim was blessed with many interests and talents. He loved the challenges of restoring antique cars to original condition and grew to specialize in 1930s Chryslers and Plymouths. Jim relished in his 1931 DeSoto convertible coupe being featured in the 1996 National DeSoto Club calendar and listed as the only known remaining convertible of the original 960 that were made. When not working on cars, Jim enjoyed tending to his vegetable garden and working on his golf swing. Jim was an active but frustrated golfer…except for the day he shot his hole in one! With an inherent passion for music, Jim wholeheartedly shared his smooth tenor with the Kalamazoo Male Chorus for 42 years. He also sang in the church choir at Winchell Avenue Christian Church (Disciples of Christ). Jim cheered for the Detroit Tigers, read National Geographic and Motor Trend, and could fix just about anything. Jim, a trusted organizer of work and life in general, was always eager to lend a hand. Even during his year and a half at the Upjohn Nursing Home, Jim was the community “fix it man.” Without a doubt, Jim was a treasure to all who were blessed to know him. May it provide deep comfort to know that with each swing of the golf club, hearty laugh we share, successful wielding of the power drill, and song we sing that we are living Jim’s beautiful legacy in each of our daily lives. Age 89, died August 23, 2017, in Kalamazoo. He was born March 25, 1928, in Cleveland, OH, the son of Alfred and Lilias (Taylor) Shillito, both of Glasgow, Scotland. Jim was preceded in death by his first wife, Joanne (Sweet). From this marriage, three children survive, Jan, Judy and John Shillito. In 1997, Jim married Dorothy Hoffman, who survives. Jim has three stepchildren, James (Dortha) Hoffman, Joan (Robert) Lajiness and Debra Baird (Steve Newton); step-granddaughter, Nicole Baird and step-grandsons, and several nieces and nephews. Cremation will take place. Services will be held Tuesday 11 am at Betzler Life Story Funeral Home, 6080 Stadium Dr. Kalamazoo (269) 375-2900 followed by a reception in the Life Story Center. Private burial will take place at Portage Central Cemetery. 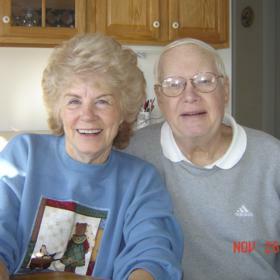 Please visit Jim’s personal web page at www.BetzlerFuneralHome.com, where you can read his story, archive a favorite memory or photo and sign his guestbook before coming to the funeral home. Memorial contributions may be made to Ministry with Community, Kalamazoo Male Chorus or Animal’s Best Friend.